David's Unforgettables Mild Barbecue Sauce, 12oz. Prepare barbecue to medium heat. 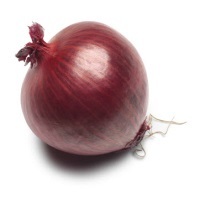 Brush onions generously with BBQ sauce. Grill until tender, brown, and glazed, basting with BBQ sauce and turning occasionally, about 15 minutes. Blue Cheese Mayonnaise: Stir all ingredients together in a bowl to blend.